Caregivers generally put others needs before their own. It is remarkable all the hard work that they put in on a daily basis. Whether they are a mother with young children or caring for a family member or another person, this type of work has impact on the caregiver’s mental and physical well being. Since they are mostly preoccupied with caring for everyone else, they tend to place their health last on the list. Research suggests that stress over time can increase a person’s risk for illness. One method of restoring a caregiver’s well being is through massage therapy. Massage helps to reduce fatigue, decrease muscular tension, and increase the immune system. Regular massage can help to improve mood and increase circulation throughout the body. 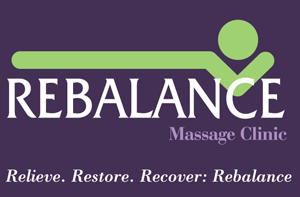 At Rebalance Massage Clinic, we care for our clients as we would our family and we feel it’s important that we remember to care for the caregivers. Whether they realize it or not, caregivers need massage to help reduce the demands of daily life. They do so much for others especially moms. This mother’s day remember mom’s well being and give her the gift of health. We offer gift certificates for massage to help her have the best Mother’s Day possible. Go to our online store and save 40% off our regular massage price!